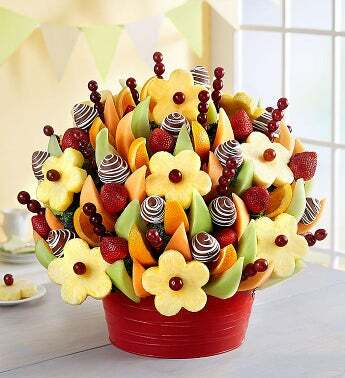 Our mouthwatering fruit bouquet is guaranteed to please every partygoer! 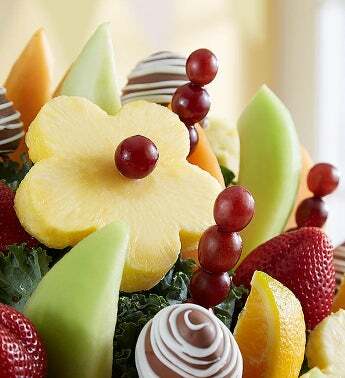 Brimming with plump, daisy-shaped pineapples, succulent strawberries, juicy melon and more, this festive arrangement is available in three sizes and served up in a bright red tin. It’s the perfect gift for sharing at fun-filled celebrations with family & friends.